If we as parents do not take time to consciously slow down and come together, family meals can often become rushed, chaotic and stressful. Every day we sit together and have our meals as a family. Yes, this takes a bit more time and preparation and yes, this absolutely means that we adults eat regularly at 5 p.m. if the children are tired and ready to begin their evening rhythm. No, it’s not always calm and quiet (there are four small children to feed!) but with every passing day, gratitude, table manners and conversation between us become an ingrained part of our mealtime rhythm. So how do you journey from a toddler running circles around the table, deflecting crude jokes from an older child while begging and bribing another child to just eat three more bites towards a more calm and nourishing mealtime? Help an older child set the table. Lead by example. This is something that needs to initially be done together until it becomes a daily ritual before he/she has to do it all on his/her own. Remember that little ones can’t reach plates and cups in cupboards up high so when you ask them to set the table, have these things easily accessible for them. Have a younger child collect flowers or greens to place in a small vase at the centre of the table. Every few days it can be their job to change the water or collect some more. Welcome sous chefs with open arms. Cooking together does mean a lot more mess and take a bit more time, but while our children are young it is essential we involve them in our daily rhythm and routines if they express a desire to participate. Children are also much more enthusiastic about eating their meals when they have been wholeheartedly involved in the creation process. See the post Meaningful Work for ideas on how to involve them in the kitchen. Do not call anyone to dinner until it is truly ready and served. You don’t want a toddler to have to stay on his chair any longer than he has to. Calling them while you’re still serving things up or if the meal is too hot to eat takes too much time for little ones. When everyone is around the table, light a candle and say a seasonal blessing. Anyone who is 3 or older should be able to wait until the blessing or verse is said to begin eating. We join hands and say different blessings depending on the season and what is happening outside. See the post Seasonal Blessings for inspiration. Acknowledge feelings, state options and then move on. If someone is really unhappy with their meal and you are greeted with a groan when they arrive at the table, try something like, “I understand that _____ is not your favourite. I’d still like you to try a few bites and after that you may leave it. Perhaps you’d like more salad/rice/_____ tonight? There won’t be anything else to eat until _____.” Then direct the conversation lightly forward. Initiate topics such as what each person’s “rose and thorn” (best part of the day and worst part of the day) was that day, what they saw, who they played with, what they discovered or what the natural environment (weather, trees, plants) was doing that day. Don’t get up from the table until everyone is done. As multi-tasking Mums we have the tendency to rush through things- tidy up as quickly as possible and move on to the next thing. If there are still people eating at the table stay there until everyone is done- this is leading by example. If you’re up and about and beginning the dishes this demonstrates to the children that they can also get up and start moving too. You may or may not have something sweet after every evening meal. We tend to have a light dessert more often than not after dinner but most of the time I keep it a surprise. This just adds a bit of magic and anticipatory momentum to the meal. Take a grounding deep breath before and after the meal. Remember to stay calm and to model gratitude and pleasure for the meal. Like with so many aspects of parenting- this is a journey with an important destination that may be many years away. Some days will flow better than others and that is fine. 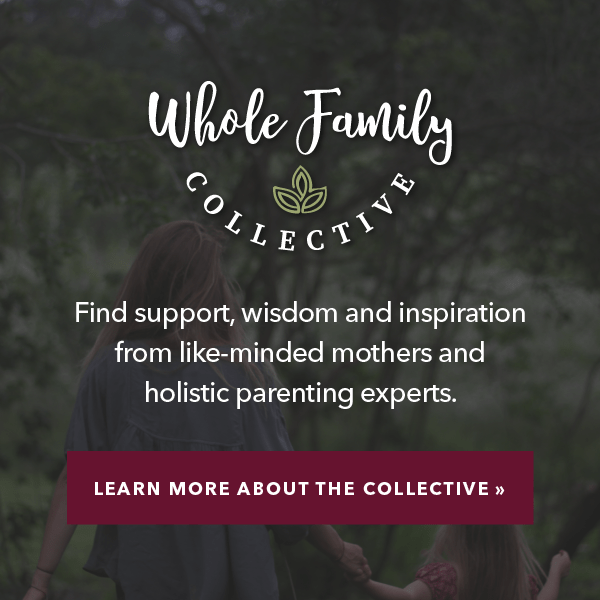 Know you are providing your children with meaningful and connected mealtime rituals that they will carry with them for the rest of their lives. I’m so appreciative for this post. Thank you, thank you. 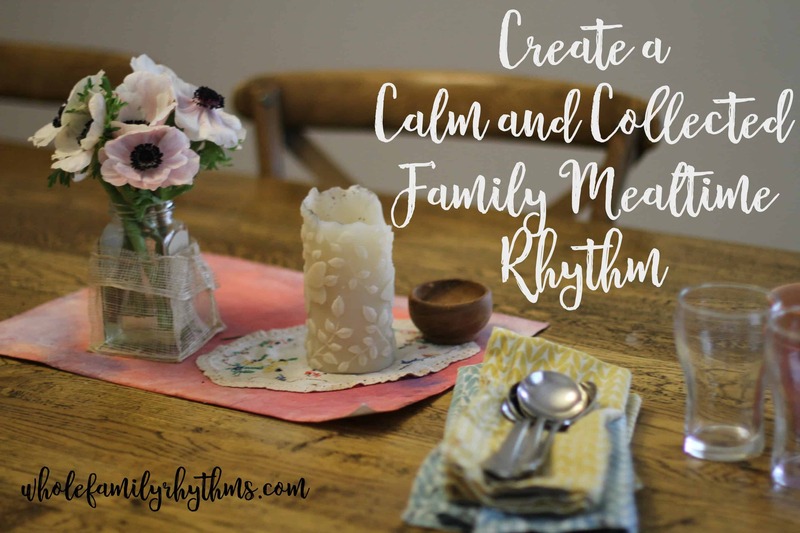 We eat dinner together as a family every night, but I’ve been feeling the need to add some peaceful rituals to our meal time and your insights have already made a calming difference. So glad to hear it Elizabeth. Thanks for taking the time to share. X m.
This little list of ideas and the seasonal blessings have completely transformed our mealtimes into cherished family moments. Thank you. We can’t wait to get stuck into your seasonal guides as we begin our journey into homeschool next year.